Why has “free” become synonymous with “bad”? 2002 called; they want their graphics back. It’s no lie that the Magic video games have been declining in standard since…well, since the first Duels of the Planeswalkers in 2011. I think I am going to largely be repeating myself from my Magic 2015 review last year, which was filled with anger and distain, but I feel that the points need to be repeated. 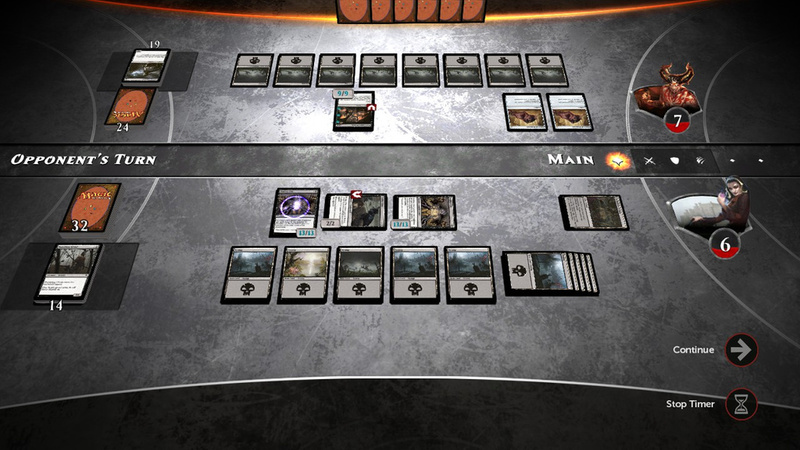 It’s true that Magic Duels, this year’s instalment in the Magic video game series, is free. That’s an instant plus. It seems like a tactical move, since the release and success of Blizzard’s Hearthstone, which I am largely inclined to download. 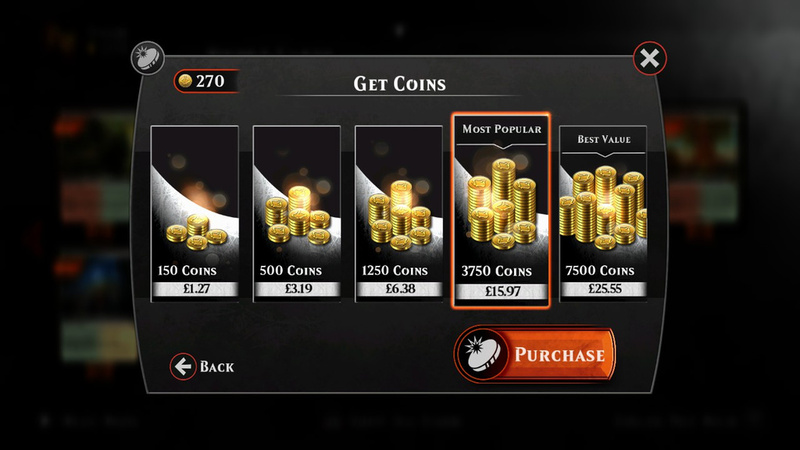 And of course, as with any free game, there is a ‘pay to win’ feature. Well, I guess they have to make their dollars somehow… So what do you get from Duels if you don’t want to spend any moolah? Firstly, you have a story mode. 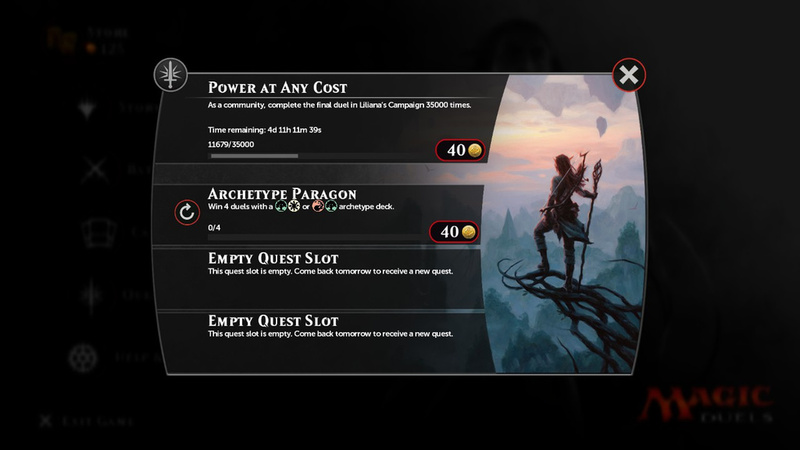 Using the current ‘origins’ theme as inspiration, the story mode follows the awakening and subsequent sparks of some of the main Planeswalkers we know and love – Gideon, Jace, Lilliana, Chandra and Nissa. Each character features five (I think) battles using a premade deck that gets better as the campaign goes on. It’s a nice idea, and the stories are mildly interesting despite all being somewhat similar. The decks that you play with aren’t anything special and are actually pretty dull, notably Gideon’s. Additionally, the AI opponents that you fight are as easy as your mother, and don’t serve a real threat. As such, you can complete the campaign in a couple of hours tops. 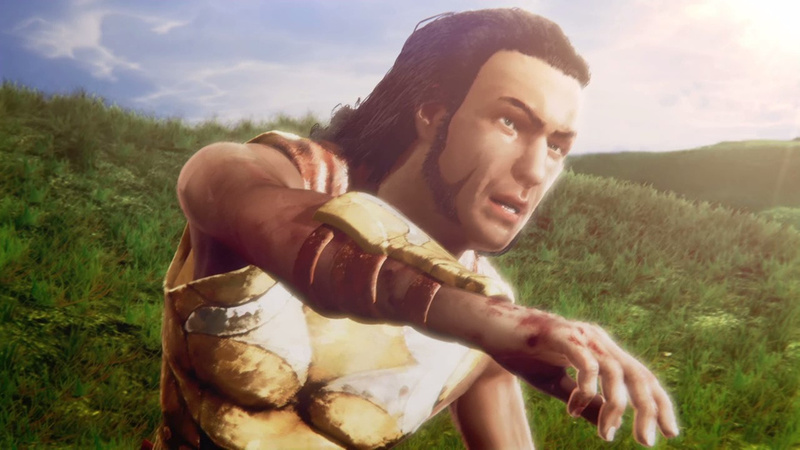 Each win awards you with some coins, which I will come back to later, and at the end of the campaign you are rewarded with a speechless short film that looks like it was made for an early PS2 game, and nothing else. You don’t even unlock the mediocre deck to play with. Not even a “well done!”. Hell, not even a stinking achievement besides Gideon! Gideon’s campaign, whilst on the subject, serves as the incredibly arduous tutorial, which, you know, is great if you have never played Magic the Gathering before, but if you know what you are doing then you just have to listen to the patronising lady voice (who may well be the same patronising lady voice from Magic 2015!) telling you how to make simple moves. Agh. 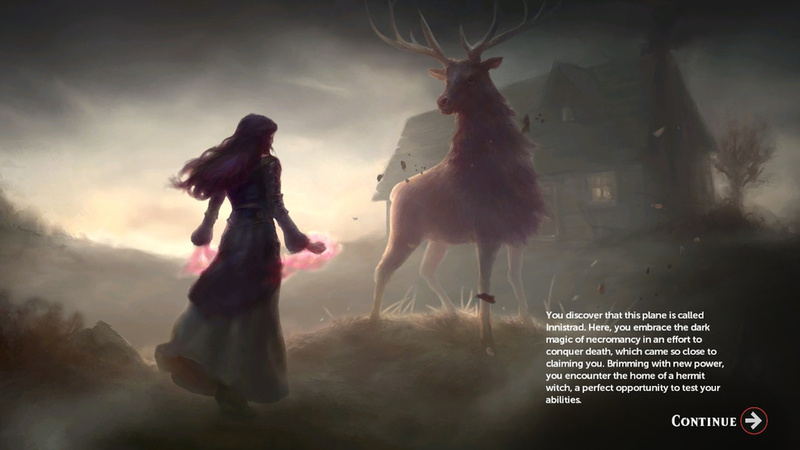 Once you have exhausted the campaign, you can participate in one v one battles with AI opponents, ranging from easy to medium to hard, or, as I like to call it, easy to slightly harder to you might lose a creature. There is no difficulty spike in this game. 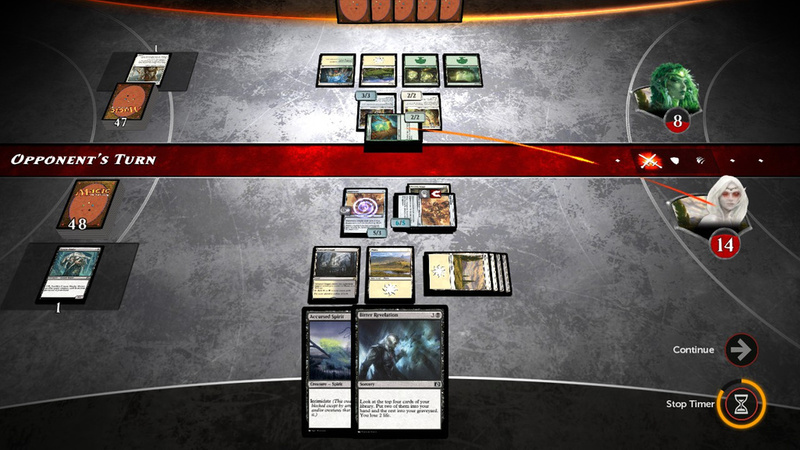 Enemy decks are completely randomised it seems, as I had a hard comp that just played lands until I killed him. No challenge whatsoever. So what about playing against other players? Firstly, you can participate in one v one fights against a random player across the globe by hitting the button and waiting for one of the six other people online to respond. Also, they have graciously brought back a two headed giant mode, in which you and another random player across the globe fight two other guys by telepathically communication. That is to say, there is no way to communicate with your team mate or even other players in general. Literally nothing. Additionally, if a player disconnects, a notification will flash up, but blink and you will miss it. After that, you fight an AI in their place, with no aesthetic indication. As a result, if you happened to sneeze or look away for a second and your opponent quits, you may have no idea. Which is especially helpful when a large percentage of the other six players online rage quit when they’re losing. And sometimes they take freakin’ forever! But what about the cards? You start off with a little starter pack that has some basic cards in. Playing matches unlocks coins. Coins unlock booster packs. Booster packs contain six cards (IKR?!) that you can include in one of your many decks. Completing the campaign will earn you enough to unlock around 5 boosters for you to open and enjoy. After that, you can earn coins by completing matches. However, a single booster costs 150 coins. An offline match win gives you 5/10/15 coins depending on the difficulty, where an online yields 20. As such, grinding for coinage becomes a tedious task, and once again our old pay to win friend comes a’knockin’; you can, if you so wish, spend IRL money to buy cards, which, obviously, some people do. However, seeing as the online community for this game seems dead before it’s even reached its toddler stage, it seems pointless. That, and I don’t want to spend money in a game like this. So to get tha’ good cards, you have to play tens of matches against either long, drawn out, effortless computer or grouchy, silent real life people. Editing decks is quite straightforward, and offers both a ‘basic’ and ‘advanced’ mode. This allows you to tailor using the cards that you have won and/or bought. You can also autocomplete decks if you’re feeling lazy. The interface, though an improvement on last year, is still a winding road of nonsense in some parts. For example, once you build your deck, you can change the name and art of it. To do this, you would think there would be a simple tab in the ‘edit deck’ region, but instead, you must go into your card choosy area, find the stats tab, and go from there. Why? Because. 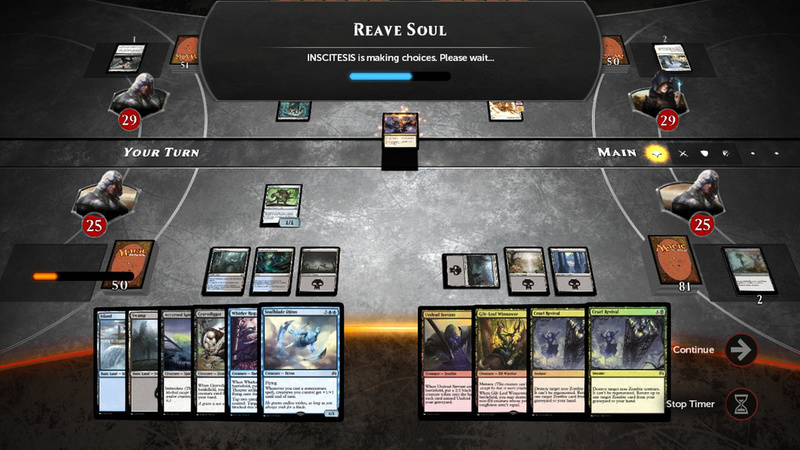 Magic Duels is a free game, so how much can we complain really? You’ll kill a few hours from it, but don’t expect anything that’s really worth while, unfortunately. Whether they will release future DLC or not I don’t know, but at the moment Magic Duels serves as a brief and aggravating pastime and nothing else. As I believe I said last year, if you want a good Duels game, check out the 2012 and 2013 instalments. Oh there are also challenges that no one cares about. This entry was posted in Blog and tagged 1v1, 2v2, Card, Chandra, Duels, Duels of the Planeswalkers, Duels of the Planeswalkers 2012, Duels of the Planeswalkers 2013, Free, Gideon, Jace, Lilliana, magic, Magic 2014, Magic 2015, Magic Origins, Magic: The Gathering, microtransactions, MTG, Nissa, Online, Origins, Pay, review, Stainless Games Ltd., Steam, Two headed giant, WIzards of the Coast, WotC.